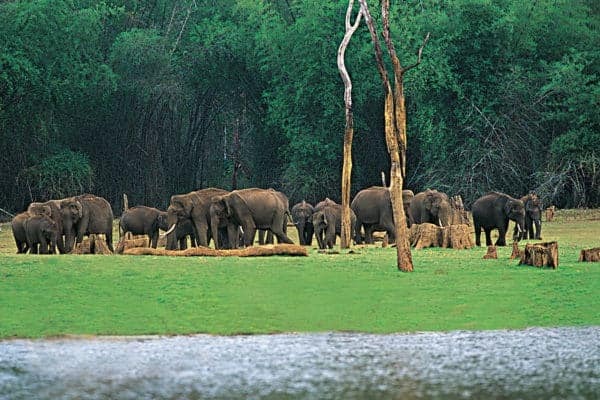 Thekkady in Kerala State, India's largest wildlife sanctuary is a dream destination for any tourist visiting India. Don?t miss the elephant rides here at reasonable price. With these rides, you can dwell deep into the forests and enjoy the thrilling experience of sighting wildlife very near. Trekking also can be done with the help of foresters. Thekkady is also blessed with several luxury hotels, resorts and homestays. So, you will not find any difficulty in accommodation. You can enjoy the serene and tranquil atmosphere of Thekkady, while having a stay in this resorts and hotels. Other than the National Park, you can roam around the places like Murikkady, Chellar Kovil, Anakkara, Mangala Devi Temple etc at Thekkady. To reach Thekkady, you can get down at Cochin or Madurai Airport. Frequent buses are available from there. Nearest railway station is at Madurai and Kochi.